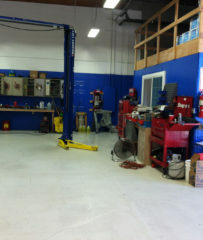 Wayne & Son’s Automotive Repair, Inc. They are the most honest repair shop that I've ever been to. It's usually a really fast turn-around. If I do have an emergency, Wayne will always make the time for me. The customer service was great, and they were very personable. They cared about my concerns. They were reliable and trustworthy. They are really nice, honest people. They seemed happy and grateful to have my business. Wayne & Son’s Automotive Repair, Inc. provides a complete range of repair services for all types of domestic and foreign vehicles at its Santa Rosa facility. 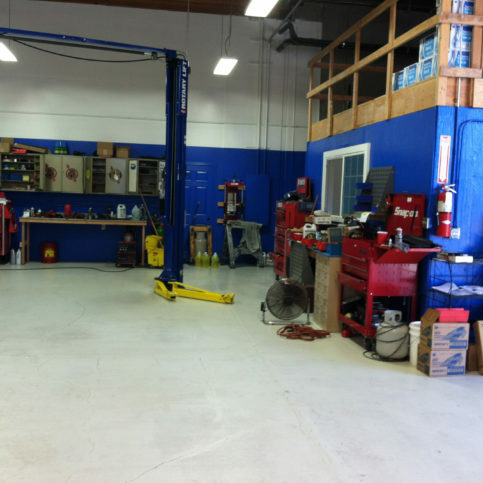 The family-owned and operated company has the training and equipment to handle everything from routine oil changes and tire rotations to comprehensive engine and transmission work, and it’s also qualified to repair RVs, perform used and pre-purchase vehicle inspections, and more. 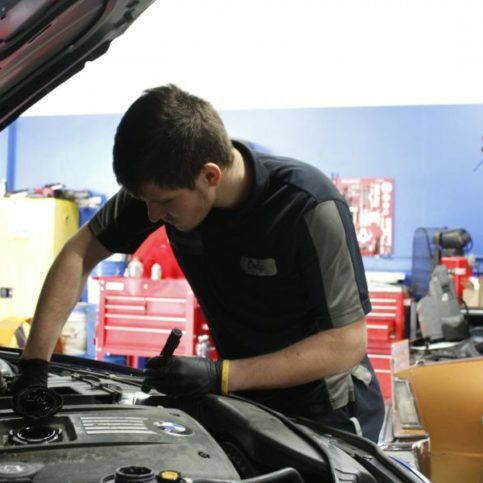 Wayne & Son’s Automotive Repair’s technicians are trained to utilize the auto repair industry’s latest technology, including state-of-the-art diagnostic equipment that allows them to quickly uncover problems and begin working on solutions. “By combining cutting-edge technology with real-world experience, we’re able to get our customers’ cars back on the road as quickly as possible, which saves them valuable time and money,” affirms Mr. Pentecost. DIAMOND CERTIFIED RESEARCHED CAPABILITIES ON Wayne & Son’s Automotive Repair, Inc.
Company Name: Wayne & Son’s Automotive Repair, Inc.
Areas Served: Serving all of Sonoma County including Santa Rosa, Windsor, Guerneville, Cotati, Sebastopol, Rohnert Park, Petaluma, Healdsburg and Cloverdale. DIAMOND CERTIFIED RESEARCHED ARTICLES ON Wayne & Son’s Automotive Repair, Inc.
Wayne & Son’s Automotive Repair has been repairing all types of domestic and foreign vehicles at its Santa Rosa facility since 1987. The company has the in-house capabilities to handle everything from oil changes and tire rotations to comprehensive engine and transmission work, and it’s also qualified to work on RVs, inspect used and pre-purchase vehicles, and more. Likewise, the air intake filter that was featured in older cars has been replaced by more efficient filters that are in a new location. “Filters are now located at the front of the car so colder air can get to the engine,” explains Mr. Pentecost. “The colder the intake air, the more dense it is, which means more oxygen for the engine and more power to help your car run smoother and further reduce emissions.” Mr. Pentecost says this operational upgrade originally came from a push to decrease emissions and increase power, as well as improve upon the general design of auto engines. While some auto enthusiasts maintain that carburetors are the way to go, the convenience and performance of fuel injection systems have made them increasingly popular since their debut more than 20 years ago. The fuel injection system’s ability to consistently tune the air and fuel intake for each cylinder makes cars run better, and it can also decrease auto vibrations, increase fuel efficiency, and dramatically lower auto emissions. Q: What types of vehicles do you service? A: We service all makes and models of vehicles, and we also have experience working on RVs and motorhomes, diesel trucks, motorcycles and dirt bikes, tractors, forklifts, lawnmowers, go-carts, golf carts, dune buggies, boats, generators, and other motor-driven equipment. Q: How much do you charge for a diagnosis? A: The first 15 minutes are free, and that’s usually enough time to diagnose typical car problems. If it’s a more complicated diagnosis, we have to charge, but we’ll talk to you beforehand so we can give you a good idea of what to expect. A: It depends on a lot of factors, but we use the most current diagnostic equipment available, which means we’re able to quickly uncover problems and begin working on solutions. By combining cutting-edge technology with real-world experience, we’ll be able to get your car back on the road in less time than it takes other shops to even figure out what’s wrong. Q: Can you fabricate specialty or custom parts? A: Yes. Our owner, Wayne Pentecost, is a machinist with more than 30 years of experience, and he can make custom or replacement parts for any type of vehicle, including those that have hard-to-find machinery. If you need a part that isn’t readily available, we can make it. A: Yes, we offer a two-year/24,000-mile warranty on parts and labor that includes a free tow or roadside assistance within one year of every repair. Our warranty program is nationwide, so if you’re outside of the local area and there’s a problem with your car, you can get it handled. SELECTED PHOTOS FROM Wayne & Son’s Automotive Repair, Inc.
Wayne Pentecost is a veteran of the automotive industry and owner of Wayne & Son’s Automotive Repair, Inc., a Diamond Certified company. He can be reached at (707) 276-6975 or by email. When he’s not at his auto shop, Wayne spends much of his time tinkering and manufacturing things in his other shop. “I have a little machine shop that’s complete with a lathe, mill and grinder,” he explains. “It’s a lot of fun building and creating stuff—right now I’m making some brackets for a local winery.” Additionally, Wayne likes being active in his local church and keeping in touch with his and Nanette’s other son, Shawn, who is a nuclear technician with the Navy. A: The San Francisco 49ers. Also, my favorite NASCAR driver is Jeff Gordon. A: La Gare in Santa Rosa. A: A 1972 Chevrolet Vega hatchback. A: The toolbox my mother gave me. SANTA ROSA — Most people know tire pressure can affect fuel economy, but there are several lesser-known factors that can have an equally significant impact. One of these is the condition of your engine air filter. When an air filter isn’t regularly replaced, the excessive dirt buildup can cause it to become clogged, which restricts engine ventilation. When an engine isn’t able to “breathe” properly, it’s more likely to run rich—in other words, to use more gasoline than it’s supposed to. Another factor that can affect fuel economy is the regularity with which you change your engine oil. As engine oil becomes dirty over time, it can clog up the engine’s rings and get into the cylinders, which can hinder proper combustion. In addition to routine oil changes and air filter replacement, another way to boost your vehicle’s gas mileage is to keep its engine well-tuned. Having important functional components like the crankcase ventilation system serviced on a regular basis will help the engine perform optimally, which will maximize fuel economy. SANTA ROSA − One of the most important auto maintenance services is having your engine’s timing belt replaced. This critical component controls the rotation of the camshafts, synchronizing the sequence of valves opening and closing with the up-and-down movement of the pistons. When a timing belt breaks, this sequence is thrown off, which can result in damage to the valves (which are hit by the pistons when they cease to move) and a catastrophic engine failure. To avoid an expensive repair, you should have your vehicle’s timing belt preemptively replaced. Most vehicle manufacturers recommend timing belt replacement every 60,000 to 100,000 miles, but you should check your owner’s manual to see the specific recommendations for your car. When having your timing belt replaced, it’s a good idea to have the other timing system components replaced as well, including the tensioner and the water pump. If one of these components fails down the road, it can ruin the previous timing belt job and result in another costly repair. Since your engine needs to be disassembled to replace the belt, it’s far more cost-effective to replace the other components at this time than to open up the engine again later. SANTA ROSA — Host, Sarah Rutan: Due to the critical role a timing belt plays in vehicle operation, it’s worthwhile to gain a better understanding of what it does and how to maintain it. To learn more, we’re in Santa Rosa with Cody Pentecost of Wayne & Son’s Automotive Repair, speaking on behalf of Diamond Certified Expert Contributor Wayne Pentecost. Cody Pentecost: Today I want to talk to you about timing belts. That’s kind of what I do most around here. And so, what a timing belt is, is it keeps the top end and the bottom end of your engine in time and running smoothly, so, everything just keeps on running. And it’s very important to maintain the service of your timing belt. 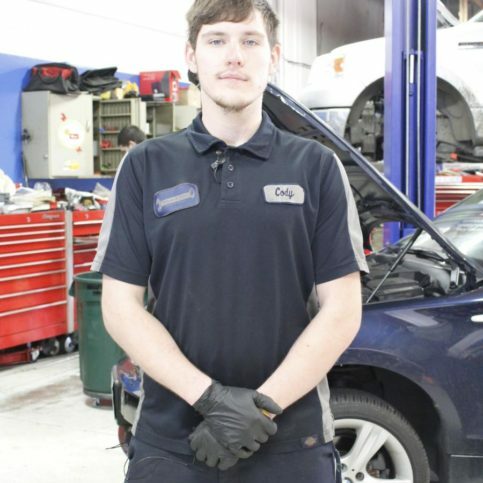 The service range is usually anywhere from 60 to 120,000 miles, depending on your vehicle. Because there’s two different types of engines. There’s non-interference and an interference engine. If the timing belt breaks on an interference engine, that can cause piston to valve interference, which could ruin your engine. So, that’s why it’s really important to maintain the service of your timing belt. If the timing belt has been done, people will put a sticker on it that says the mileage has been done. Every time we do a timing belt, we always put a sticker on it. If you take it to a different place or move, so that the next tech that works on your car will, like, say, “Oh, okay. The timing belt’s been done.” You should really keep on top of your timing belt to make sure, regardless if it is an interference or non-interference engine, it can’t break, and nothing bad can happen. SANTA ROSA — Host, Sarah Rutan: An important part of owning your vehicle is learning how to maximize your gas mileage. Today, we’re in Santa Rosa with Brett Pentecost of Wayne & Son’s Automotive Repair, to learn more. Brett Pentecost: As a consumer, there’s several good ways that you can both maintain and improve your fuel economy. The first tip on improving your fuel economy is making sure your tires are set to the proper manufacturer’s specification. If they’re underinflated, it causes an added rolling resistance to the car which can cause your fuel economy to suffer. A common place to find the specification on how much to fill your tires would either be on the filler itself, or on the outside edge of the door. The second tip I have for increasing your fuel economy is maintaining a clean air filter in your vehicle. When the air filter starts to get clogged you can see it clearly starts to restrict the flow through it, which causes the engine to work harder, as well as causing you have a rich air/fuel mixture and hindering your fuel economy. Diamond Certified RATINGS ON Wayne & Son’s Automotive Repair, Inc.
Wayne & Son’s Automotive Repair, Inc. : Average 9.6 out of 10 based on 145 unique customer surveys of customer satisfaction. They are a quality vendor who does what they say they will do. They did what they said they would do at the original price they quoted. They keep to their word, and they do their work well. They are knowledgeable and reliable. Just that they're honest, ethical, and they get the work done as promised. They are efficient and effective. They go the extra mile, and they are all friendly, helpful, and do great work. They are Christians, and they care about people in general. They are excellent, and they provide a great service. They are family run, and I honestly wouldn't take my car anywhere else. The quality of service and upfront with cost, the end result never exceeded the original quote to service my car. They helped me that day, the same day. It was a very quick service. They're very friendly as well. Also, they are very efficient and affordable. Just all of the things I already said. They are the very best shop that I have used in my life. They are generous, have the best price, and do the best work and services. I have been using them for over 16 years. They are the only people I allow to work on my truck, 208,000 miles later, my truck still runs like new. I would say that they did an amazing job with my vehicle. The finished product looked amazing, and they had competitive prices, which was nice. They were able to work around my schedule. It is a good thing. I use them a lot. It was easy to work with them, and they were quick. They got the work done as promised. I would tell them that you can trust him and that he takes a personal interest in the issue you might have. This is the best automotive place I have dealt with. I have used them on three other occasions. They have serviced my truck and repaired my other car. Everything was optimal and professional all the way down the line. From calling them and setting the appointment to the actual work, everything was great. They were very personable and really knowledgeable. The best thing would probably be the quality of their work and shop. I plan to go again. Go there. They did a good job, and they were friendly. Good service, they did a good job, and they were friendly. They know what they are doing, they get you in the shop as quickly as possible with little wait time, and they are very conscientious. They don't do anything that is unnecessary, and they leave the decisions up to you. I recommend them to all of my friends, because they are trustworthy. They are the best. I think that they are trustworthy and really fast.